Suppose you are asked to apply filter on a column and paste result of a filter into a new worksheet and same process goes until all the unique values of the column are covered. In other words, this needs to be done for each unique values in a column in which we have applied filter. It is a very time consuming process if you do it manually. For example, you have a column in which there are 50 unique values. You have to do it 50 times which is a tedious and error-prone task. It can be easily done with Excel VBA programming. In the following excel macro, it is assumed a filter is applied on column F (Rank) and data starts from cell A1. This macro would filter a column and paste distinct values to the sheets with their respective names. In this case, it creates four worksheets - 1 , 2, 3, 4 as these are unique values in column Rank (column F). 1. Specify name of the sheet in which data is stored. Change the below line of code in the program. 2. Change filter column (column F) and starting cell of range (A1) in the code. 3. Starting cell of filter column - F1. Unique values of column F are stored in column AA. 4. Change the value in this part of the code. In this case, 6 refers to column index number (i.e. Column F is 6th column). (i) Add the following function before sub filter(). (ii) Add the following lines of code after 'For Each x In Range([AA2], Cells(Rows.Count, "AA").End(xlUp))'. Caution : It removes the existing worksheets which were created via macro. 6. Suppose you want to sum values in each worksheet. The following program sums column B of each worksheet. It also writes 'Total' at last row of column A. It assumes your data starts from column A.
WS.Range("A" & totRow) = "Total"
53 Responses to "Excel VBA : Filtering and copy pasting to new sheet"
This macro works great for me. I am using it to filter into to 1700 stores! I would like to know how to add an additional part for the new sheet names such as my filtered value & a lookup value for that number for example if store 11111 was in district 1 I would want the name of the new sheet to be 11111 - 1. People use to just provide simple code not explain modification for code. but you did that make you good guide. three claps for you. Attempted something through record macros but this one is excellent. I keep getting an error on Sheets.Add(After:=Sheets(Sheets.Count)).Name = x.Value. I'm filtering column B and have data through column K.
I got it to work!!! Thank you!!! The issue was with one of the values I filtered; the characters exceeded the max of 30. Glad to know it's working for you. Thanks! Hi DB - It's not working for me. I know I'm close to your code but would appreciate your help. I'm filtering on Col. F and my data is till col. V.
Can any one help me to resolve it. Thank you for your help in advance. 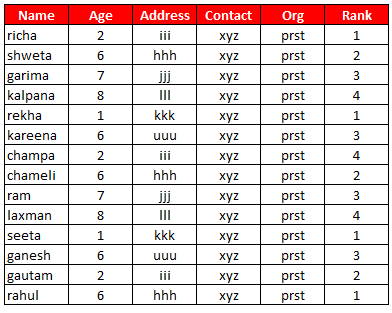 Have you specified your sheet name in this part of the code : sht = "DATA Sheet"? If yes, please save your file in the cloud drive and share the link with me to debug the code. Hi, how can I use this for multiple sheets in a workbook to save all the filtered data in one. It works. Did you follow the instruction properly? What error you are getting? your code is work very well on the first time. But, when i ran twice or more, it gets error, I thinks its because the sheet with the same name already added. How to solve this..? Add Sheets(x.Text).Delete after this line of code 'For Each x In Range([AA2], Cells(Rows.Count, "AA").End(xlUp))'. Hope it helps. Its great job you have done above... I found it very useful. Thank you very much for that.. I loved it... I wanted to make some small modification as per my requirements. Instead of creating new sheets in the same workbook, i want to create new workbook and copy the same data.. and name it in the same way as you did for worksheets... How can I do that..?? I have the same need. Did you happen to find a solution for it? Hi, thanks this is great. Would you perhaps know what to change the activesheet.paste to to be able to paste the formulas instead of the values? I have added solution in the post. Hope it helps! Can you please specific the details, as i am unable to search-out the solution (what you have added related to my request i.e. SUM of age column in each sheet for example Total 10, in this post). See 6th point under 'How to customize the above program'. How do we customize the above code for the filter being one of the columns, say column C ? I used the below code, but get an error. When I tried, I get the error "The exact range has a missing or illegal field name"
How can this be altered to have Pre-made sheets instead of generated. can I customise it to create a new workbook instead? Could you upload your file to cloud and share link with me? Hi,I have uploaded the screenshots here. By the way, I am using Excel 2016. I have modified the code. Follow the 5th point under "How to Customize the above program". Cheers! Have been going round in circles so any help much appreciated! I want to delete sheets when the data is removed, how can I do that? What if I would like to filter the data based on criterias present in 2 different columns ? Hi Deepa, thanks for sharing this. It is very helpful. One thing, what about if I wanted to have the same cells width and heights as the source. Thanks in advance. Great , Simply Awesome. Saved a lot of manual work for me. Hi Db...code is excellent...it works with no header cell and only raw data. What if I have cell headers in the first two rows and want them copied as well in the new worksheets ? Second question is - I want filtered data with respect to two criteria but the name of the new worksheet is based on only one criteria ?